Your honeymoon is really the true definition of a once-in-a-lifetime holiday – or at least it’s supposed to be! This holiday is one that gives you the chance to push the boat out a bit, spend a bit more money than usual and do something different for a change. It also has to suit two people who may have widely differing tastes but combining two different places or elements can solve this problem – and the perfect combination is a safari and beach holiday. You may be looking for somewhere truly romantic and intimate or you may be looking for somewhere with a lot of exciting activities available such as water sports. Combining a safari with a beach stay can give you all of these in one holiday. 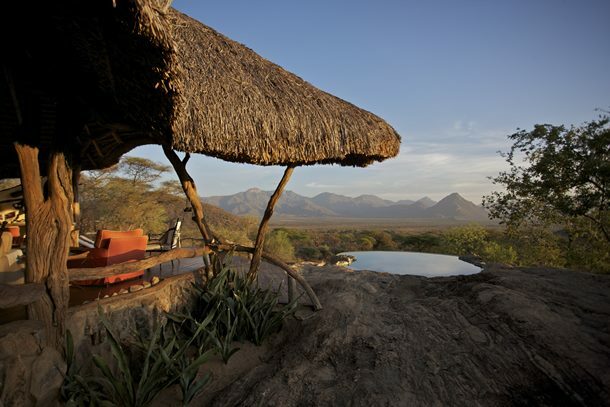 A safari is a great idea for a honeymoon. 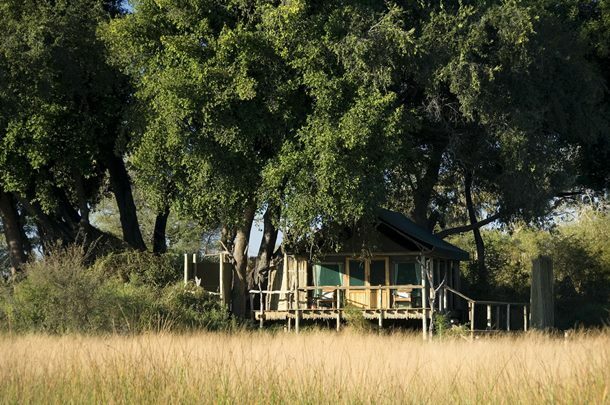 Many of our camps and lodges are incredibly romantic. 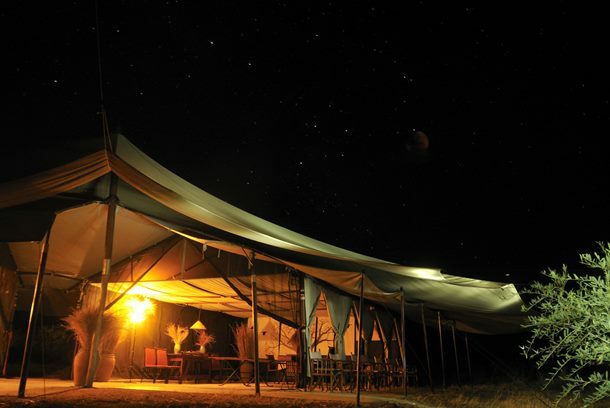 You can spend your nights in a luxury tented camp in the Masai Mara or Amboseli National Parks, your tent decorated in luxurious linens and candlelight. 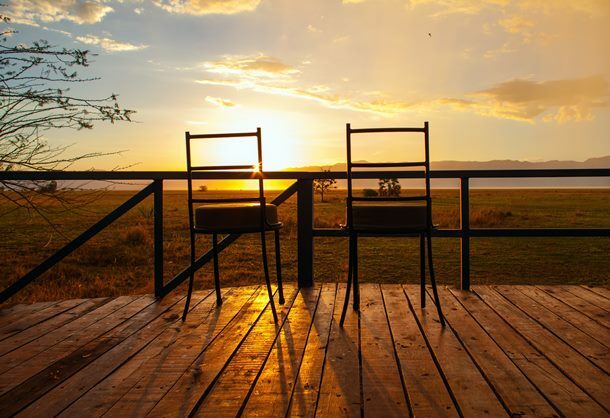 Or perhaps a suite in one of our beautiful safari lodges where you can watch the sunrise over Mount Kenya. 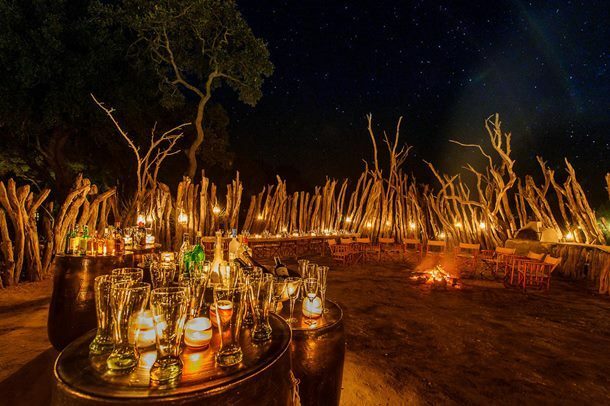 Many of the lodges and camps offer wonderful menus and fine dining can be had in the middle of the African bush. 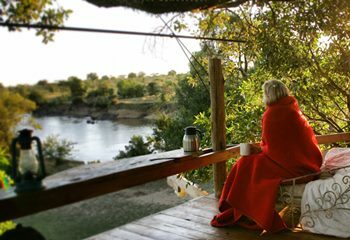 You can spend the evenings sitting by the fire looking at the African stars or perhaps enjoying a sundowner cocktail from the privacy of your own deck while you watch the local wildlife at the watering hole. Days are spent doing game drives in the early morning and evening where you will get a chance to see and soak up the stunningly beautiful scenery and be amused and fascinated by the wildlife. 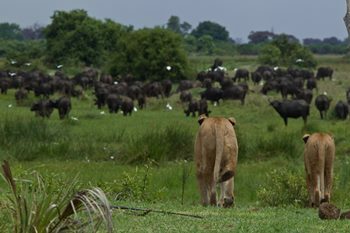 See if you can spot the Big Five while you are in Kenya and also keep an eye out for the more elusive leopard or the lurking crocodile. 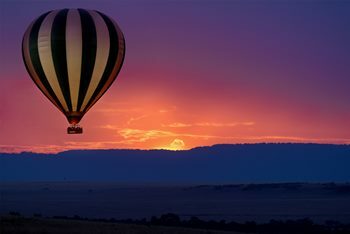 Another wonderful game viewing option in the Masai Mara is to book a balloon flight. 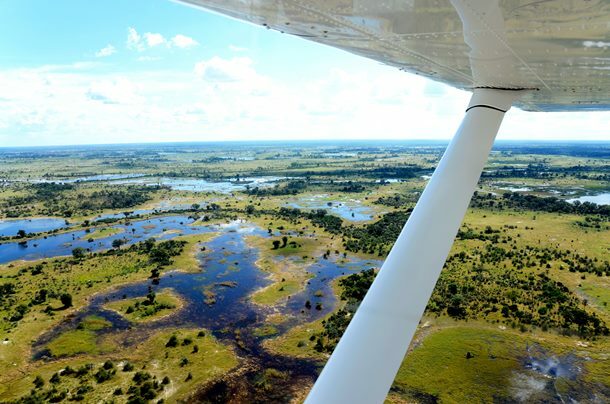 You sail over the African bush silently in a hot air balloon giving you a wonderful perspective on the game below you before landing and enjoying a champagne breakfast. Hard to beat on a honeymoon! 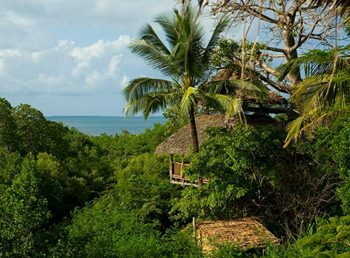 From there it is an easy hop skip and a jump to the beautiful Indian Ocean where you can combine a safari holiday with a luxury beach resort on the Mombasa coast or on the very romantic island of Zanzibar. There is a huge range of accommodation from small boutique hotels to large luxury all inclusive resorts and everything in between. For the romantic there are sailing cruises on a traditional Arabic sailboat called a dhow or perhaps just lazing about on beautiful white sandy beaches and swimming in the warm turquoise waters. 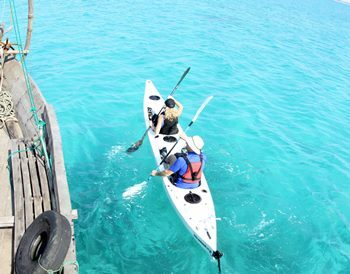 For the more active you can go scuba diving, sailing, deep sea fishing, water skiing and much much more. A safari and beach holiday really is a unbeatable honeymoon for anyone. Africa may not be the first place that springs to mind when dreaming up a honeymoon but in actual fact it is one of the best places in the world for one. 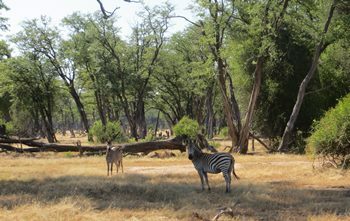 Africa offers a huge variety of destinations and experiences and is the best place for a “once in a lifetime” holiday. 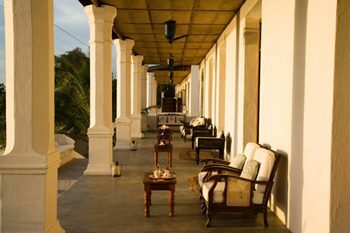 It is also a great place for offering a combination of experiences which can suit couples with different interests. And above all it is deeply romantic – why else would William propose to Kate in the foothills of Mount Kenya? If you are looking for a combination of adventure and relaxation then a romantic safari staying in tented camps combined with a beach stay on the Indian Ocean comes highly recommended. What could be better that sitting out under the stars watching the embers of the fire glowing and reminiscing about the wildlife seen on the game drive earlier that day? 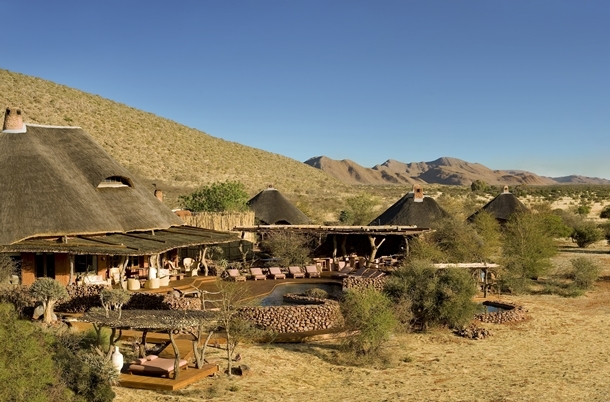 Safari lodges and camps hark back to an earlier time and their very history is romantic in nature. Then heading off for some well deserved relaxation you find yourselves on the edge of the Indian Ocean. Lying under palms trees, wading through the turquoise warm waters and exploring the long white sandy beaches before heading to a beachside restaurant for a lunch of locally caught fish – what could be better? The hotels and resorts on the Indian Ocean coasts of Kenya, Tanzania and the island of Zanzibar take some beating when it comes to romance and relaxation. There are some fantastic small, boutique hotels with only a handful of rooms which epitomise a romantic beach hotel. Zanzibar in particular offers some wonderful places to stay. There are some very historic hotels in Stone Town offering wonderful views of passing sailing boats with rooftop restaurants to watch the sun setting over the sea. The hotels in this part of the world range from barefoot luxury beach resorts to tiny, intimate places to stay, all on fabulous beaches. If you and your other half fancy a bit of culture or sport then I would heartily recommend South Africa as a fantastic honeymoon destination. Sporting activities range from world beating golf courses to diving with sharks and everything in between. If cultural activities are more your thing then the bright lights of Cape Town beckon. If food and drink are more your thing then a tour of the beautiful South African winelands is a must. How about lunch on the lawn of a pretty Dutch colonial farmhouse followed by an afternoon of wine tasting before heading back to your hotel? 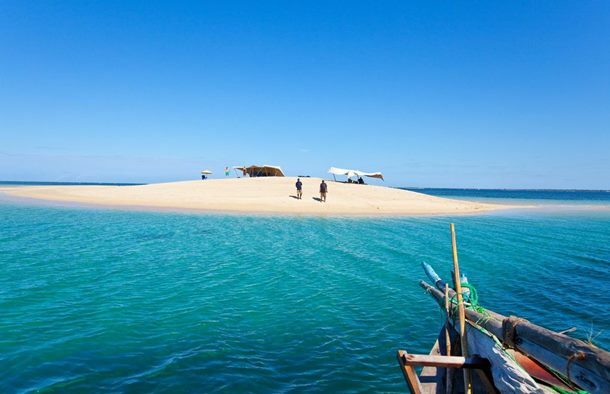 Then if you wish to add on a great beach extension you can head to the white sandy beaches of Mozambique or Mauritius for some diving or even just some good old R&R.